Add a touch of sweetness to your bakery, restaurant, or cafe with this Monarch's Choice 60 lb. wildflower honey. Whether your establishment specializes in farm to table fare or homemade-style baked goods, Monarch's Choice brings bold flavors and nutrients from the honeybees to the table. Buying in bulk also saves you money and ensures your establishment is always fully supplied with this flavorful sweetener. This product is certified Kosher by OK Kosher. "This is great tasting honey at a price that can't be beat. 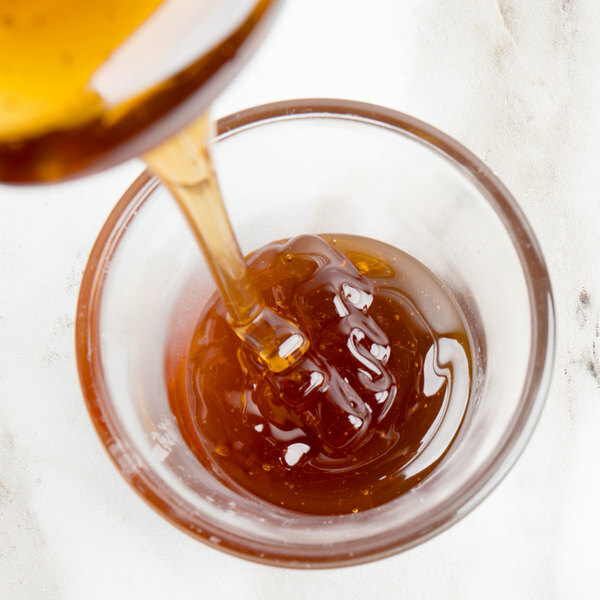 I have found that this is easier to use than bakers honey and adds just the right amount of sweetness to your desserts that will make your customers love them more. It has a pour spout making it easy to pour the honey into…"
This pure honey is collected from sweet honeycomb and is free from unwanted additives. It is a naturally gluten free sweetener with a distinctive sweet flavor and floral undertones. Packed in a 60 lb. 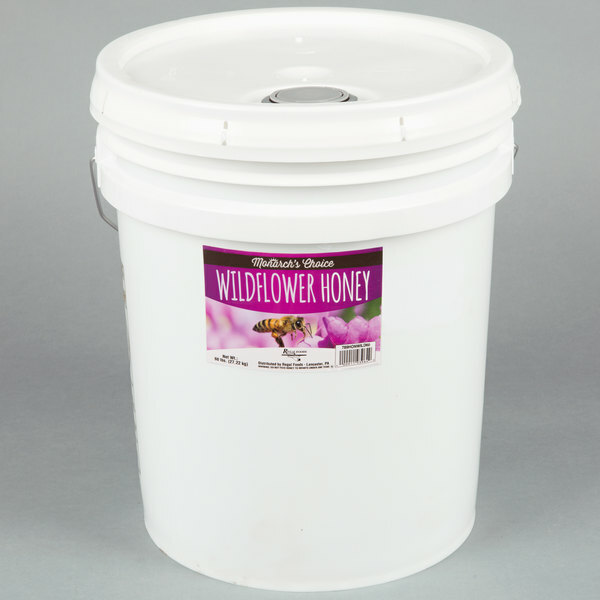 pail, you can store this honey at room temperature in a cool, dry place. 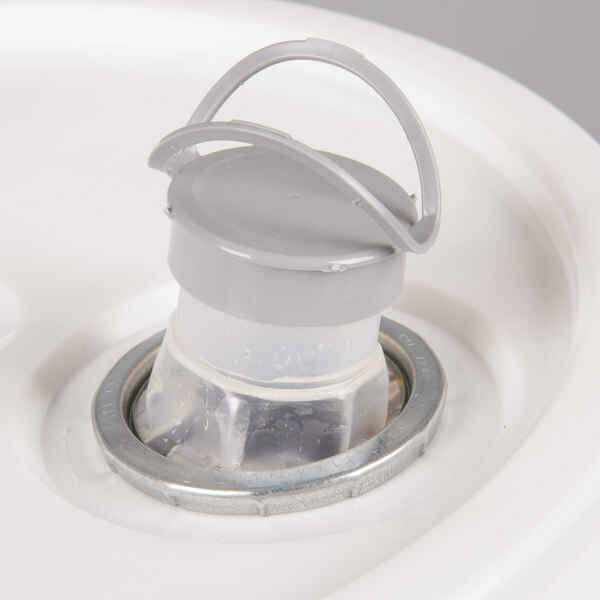 The easy-to-pour spout allows you to control the amount of honey you use while sealing in freshness. 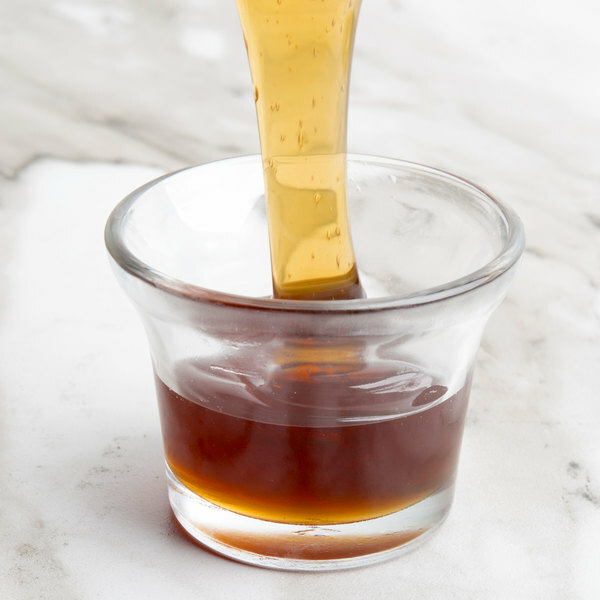 Slightly darker in color than other honey, this wildflower honey will add a more robust and hearty flavor to teas and toast. It makes the perfect complement to a range of savory dishes, from classic honey-baked ham and sweet breads to honey glazed chicken. It's also great for baking breads and enhancing rich desserts with new flavors. No it is not raw. This honey is homogenized, or mixed in heat, and pasteurized to 180-200 degrees Fahrenheit, while raw honey has not been heated or filtered after it has been extracted from the hive. Wow this is excellent honey! I purchased this honey for making mead. After reading on mead forums that people were hesitant to use bulk honey like this I chose to give it a shot anyhow, and I am impressed. Great tasting, perfect consistency and excellent sugar content. Couldn't be happier. 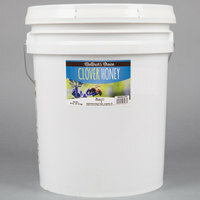 A really nice bulk pail of honey at a really reasonable price. It is great for using as an alternative sweetener to sugar. The wildflower is my favorite and is really great for allergies. This is great tasting honey at a price that can't be beat. I have found that this is easier to use than bakers honey and adds just the right amount of sweetness to your desserts that will make your customers love them more. It has a pour spout making it easy to pour the honey into squeeze bottles. This Wildflower honey is a fantastic way to add floral undertones to my meads! I love the taste this honey imparts into my brews! Repeat customer! The Monarch's wildflower honey is great and really a nice tasting honey making great candies and confections. The large pail is great and a wonderful price. 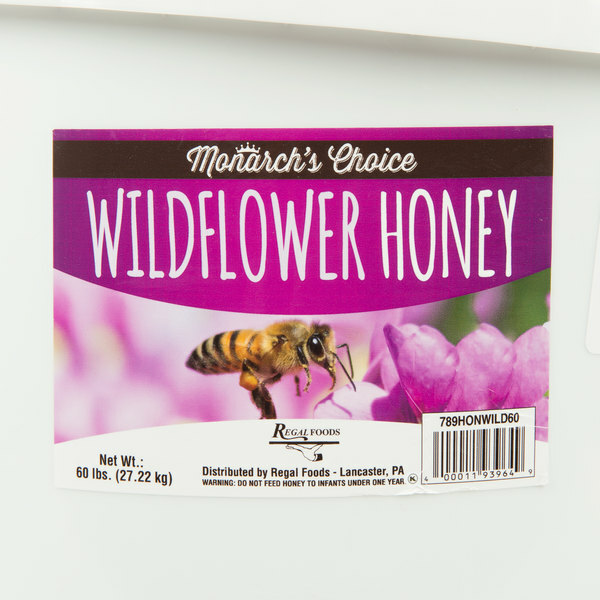 The Monarch's Choice Wildflower Honey adds the perfect amount of floral and honey that makes desserts irresistible. 60 lbs of this lasts a long time and the price is great on Webstaurant. I would recommend this. I was sceptical about the taste of this honey but needed larger volumes for a honey porter and honey wheat so I thought I'd give it a shot. IT TASTES SPECTACULAR!!!! 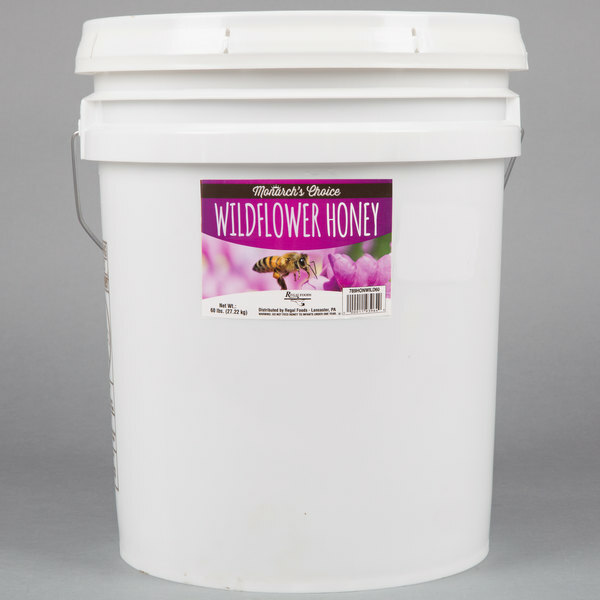 The wildflower is by far the most flavorful and imparts a mild floral character to the honey. I even grab this honey for my tea at home, it tastes better than any store bought honey I've had. Overall, great honey at an even better price point. I'd have no qualms baking our using this honey as is. The pail was large and packages very well. The honey was of great taste and the color was great. It was a great find and perfect for those who use lots of honey. Honey tasted delicious and had good color! The easy to open and pour bucket was simple to use. I'm purchasing another bucket now!! Would recommend! I received it very promptly which the UPS guy didn't look happy from lifting it all day. It was perfectly packaged surrounded in bubble wrap and boxed well. Product smells amazing I can't wait to start brewing some mead. 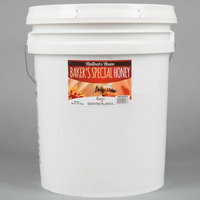 This is a great all purpose honey that can be used for anything from baking to making meads. Wildflower is pretty basic but will give off nice fruity and floral notes. Overall a great price for a perfect generic honey.